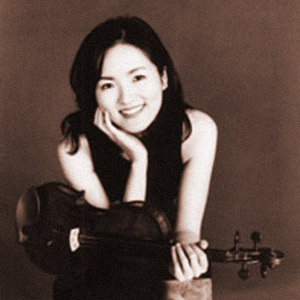 Joo-Mee graduated from the Royal Academy of Music in London, England and from New England Conservatory of Music in Boston. She earned her Doctor of Musical Arts from Boston University. She is a lecturer in Violin, and director of the Stanford New Ensemble. Joo-Mee’s New Ensemble will be performing a free public concert this Friday Nov. 6 at 12:30 pm in the Oak Lounge West, second floor of the Tressider Union building at Stanford. It is going to be a casual and intimate classical concert of music written after 1900’s. You are welcome to bring a lunch and eat during the performance. Note: SUWC has a group that meets monthly to enjoy an afternoon concert by local musicians. The musicians who play are often Stanford affiliated. They meet on the third Wednesday of the month at 1:00. There is a music program (45 minutes) long followed by refreshments and socializing with the musicians and with each other. Concerts are an opportunity to listen to a lovely program in an intimate setting. To get on the email list, to offer to perform, to offer your home, or to bring refreshments, please contact Trudy Roughgarden.